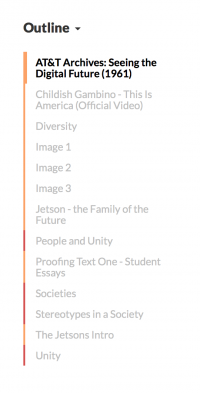 The Editorial Path presents a simplified scrolling view of all of the content in the book, designed to provide quick access for editing. Sort the contents of the Editorial Path by name, edit date, and editorial state using the drop-down menu at the top. Each piece of content is rendered in a simplified format which shows the item’s current editorial state, usage rights status, description, content, along with badges that provide additional details. Media is depicted with placeholders which can be expanded into full media viewers/players with a click. For pages with specialized layouts, a message will appear to remind you that major visual elements are not being rendered in the Editorial Path and are best viewed at the page’s standalone URL. Content on the Editorial Path may or may not be editable or not depending on your user role and the content’s editorial state. For content which can be modified, you can edit descriptions and body copy directly just by clicking on them, and any changes will be saved immediately when you click away from the editable area. You can also update editorial state and usage rights status using the drop-down menu and checkbox at the top right of each piece of content. Clicking the query badge will display existing queries and allow you to add new ones. 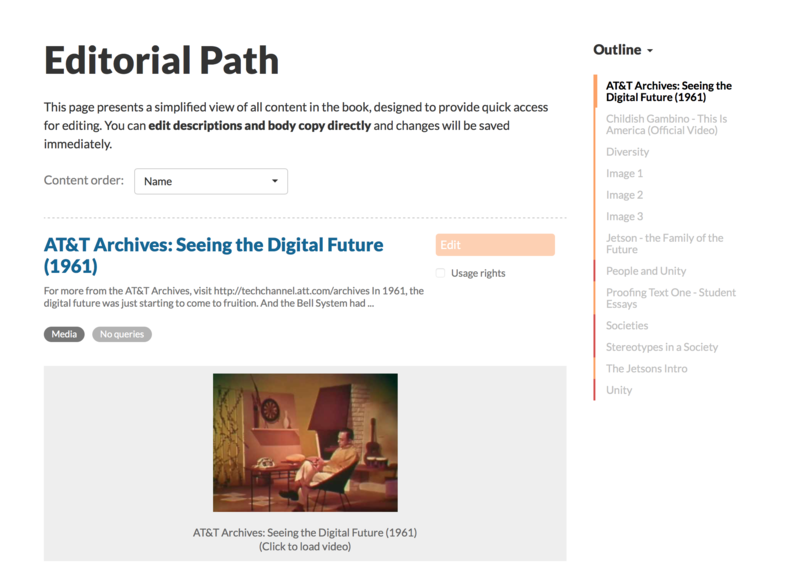 The right sidebar of the Editorial Path includes tools to assist you in navigating your book's content. 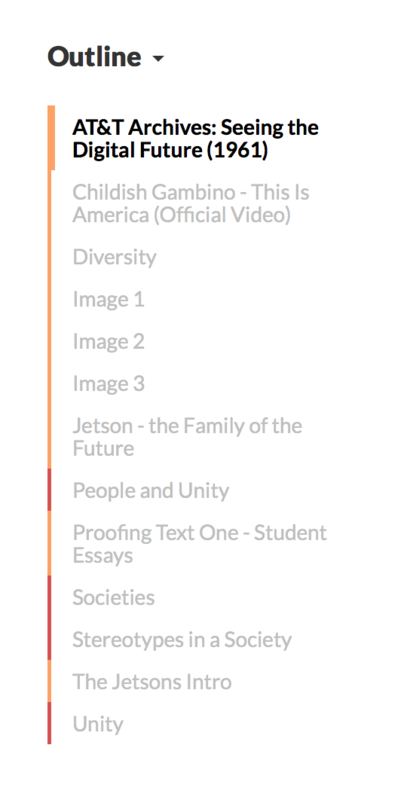 The Outline tool shows the titles of all content in a scrolling list, color-coded by editorial state. The Content Finder (accessible from the drop-down menu at the top of the right sidebar) enables you to search for content by title so you can navigate to specific items directly.